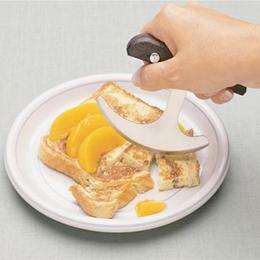 Easy cutting for people with a weak grasp. This easy-to-use knife utilizes rocking motion to cut food. 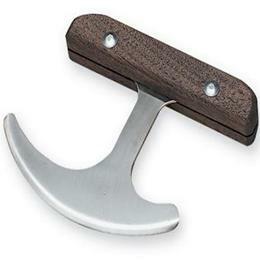 Wooden handle is shaped to fit the hand. The safety edge, stainless steel blade measures 4-1/2" (11cm) and may be sharpened with a knife sharpener. Household dishwasher safe.